It is difficult to stay balanced in this day and age. * between my pays money now work & my creative work, which sometimes pays me later. sometimes. I am scarily keeled over most of the time in one direction or another. So I have decided take matters into my own hands and formally focus on balance. 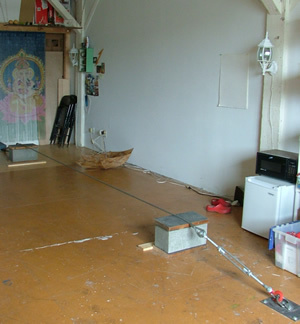 I have built a tightrope in my art studio. I try to walk on it for a minute a day. My brain gets to actively practice balance this way. 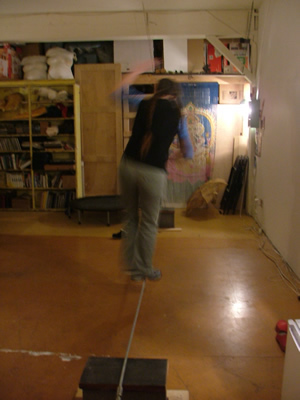 I think once I am good at balancing on my tightrope, balance will start showing up in other areas, too. That's often how these things work. 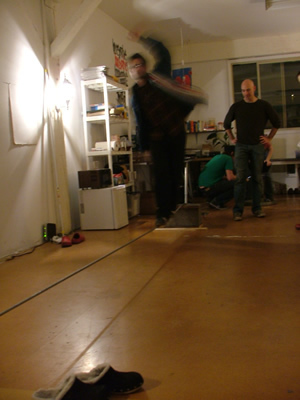 It is surprisingly fun, this simple act of trying to walk across a 1/2" wire in a balanced way. I've yet to cross it honestly, although I can kind of run across it. But it's not about reaching the other side in a mad dash. It's about being well balanced. 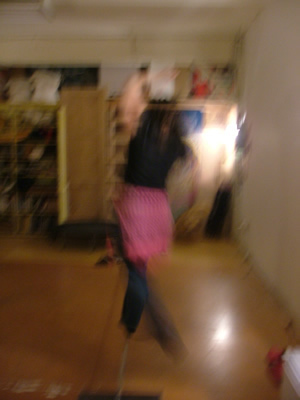 I had an open studio on November 1, 2008. 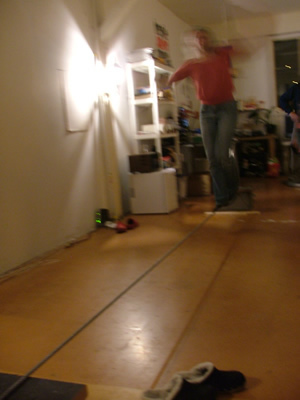 A few hundred people came and tried out my tightrope. It was fascinating to watch and so now I would like to study more people on the tightrope more formally, while continuing to practice my own balance. This wire has a lot to teach me.